The flowers in you are ready to blossom, a loving cup of nourishment is all it takes to stir them to life: delicious ruby-red cranberry with the tender press of rose, the softness of shatavari and dappled with vanilla’s sweetness. Ingredients: Chamomile flower, shatavari root (16%), licorice root, hibiscus flower, marigold flower, beetroot (8%), orange peel, orange essential oil flavour, rose flower (4%), cranberry (4%), vanilla flavour (4%). Love love love this tea! The subtle flavours are great, and this makes for such a calming tea in the evening or even to start the day. 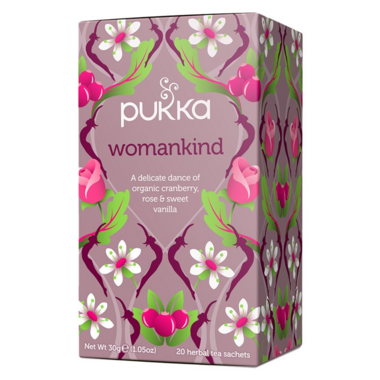 Lots of great ingredients which I always look for in my teas; I would definitely recommend this! I lovely tea with a nice flavour. Full of good things!